The Chandi Homam is done to get blessing from Goddess Chandika Devi. 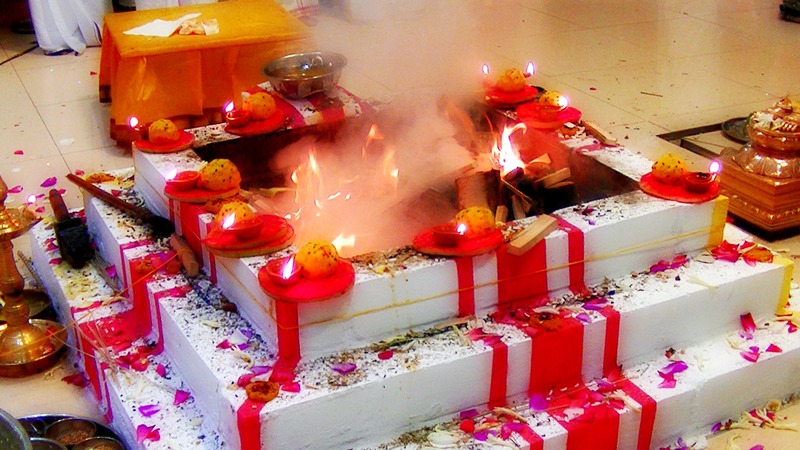 This is one of the most precious and powerful homam one can perform for destroys all kinds of problems and to bring a Grand success in Life. This Homam is done for Durga Saptasati also known as Devi Mahatmayam and then performing the homam with corresponding aahuthis and Aavartis. Date can be fixed as per one’s janma nakshatra, the yoga and thithi of that date. Fridays, Ashtami, Navami, Amavasya, Poornima and Chatrudas thithis are suitable for performing this homam.